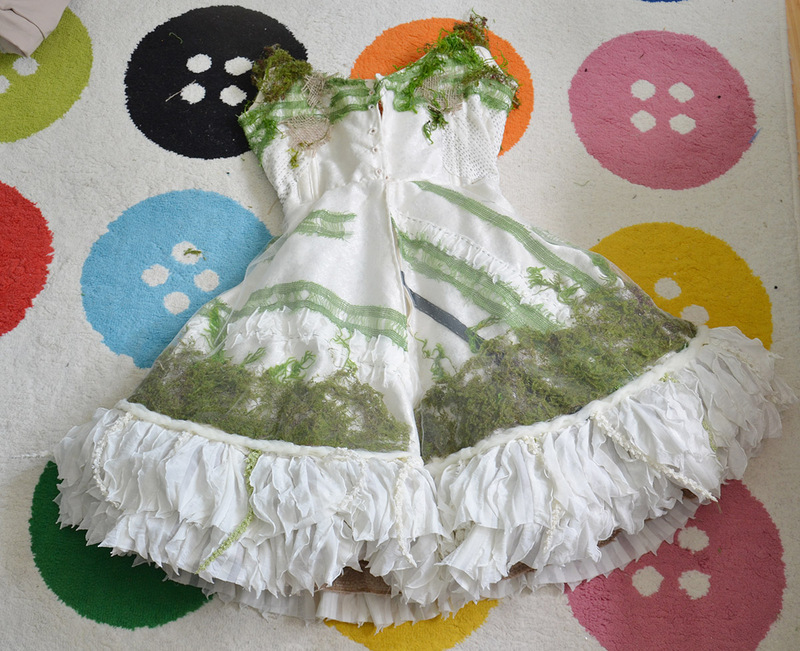 Onto part two of making the mossy dress! When I got started on this my plan for the skirt was a little vague. 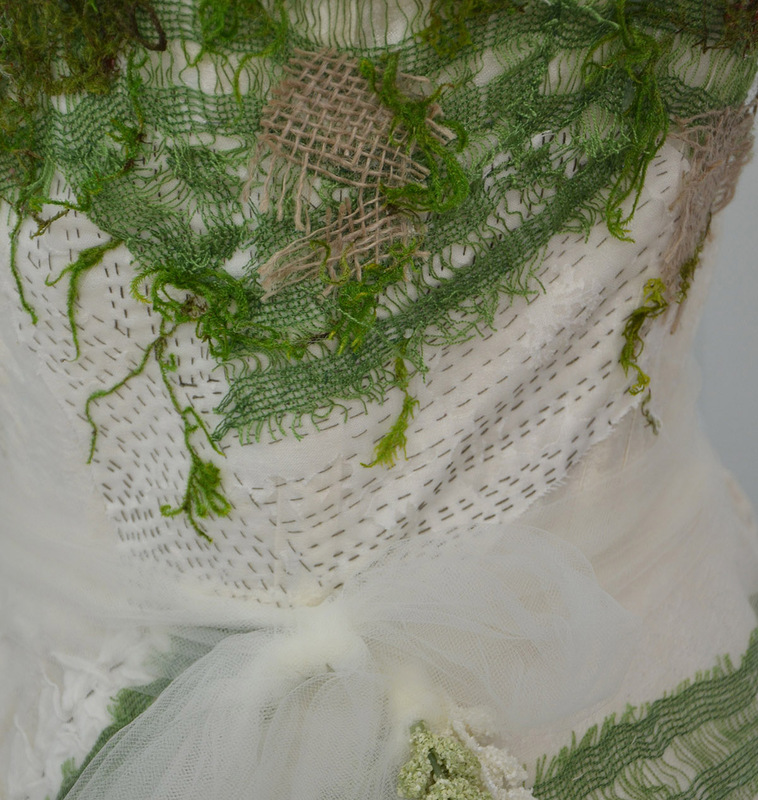 There was supposed to be a petal shaped organza overlay with moss at the tips of each petal. 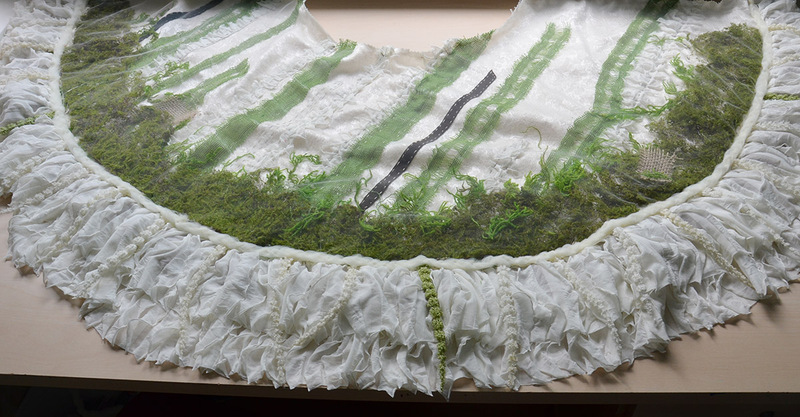 But I didn’t like how the light green organza looked with my other materials, and I didn’t think it would match the bodice. 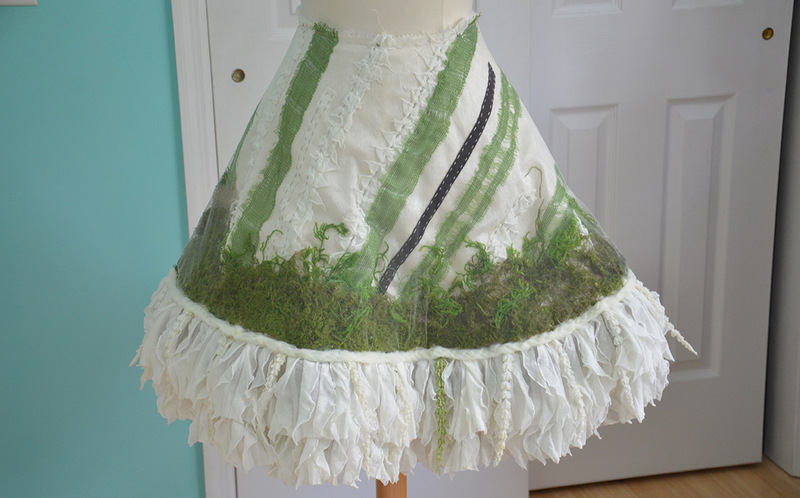 But I wanted to incorporate a lot of texture into the skirt, and I wasn’t sure how to do that without layering fabrics. 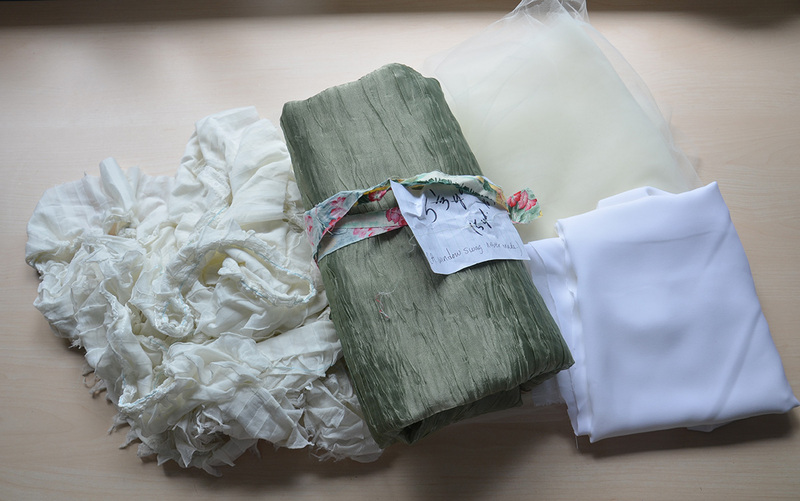 The idea I ended up going with came to me when I was sorting through my fabrics. 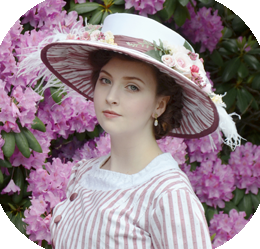 I had cut one inch wide strips of the ruffled jersey ages ago – probably two or more years ago, and completely forgotten about them. 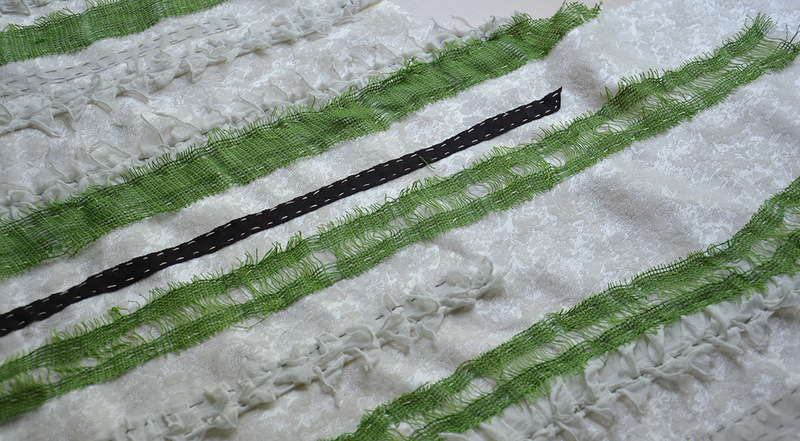 I liked the texture of them so much that I thought about sewing diagonal strips of them across the hem of the skirt. 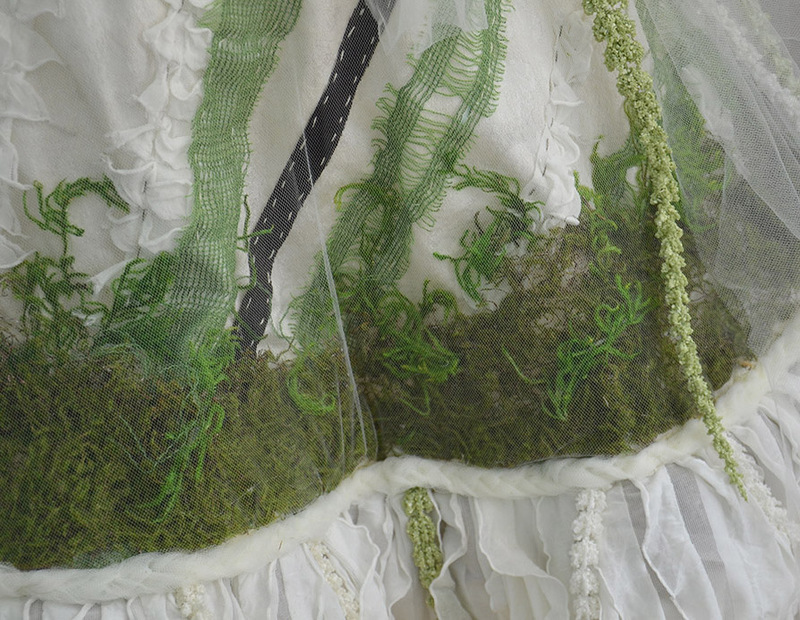 Then I realized I could do that with all my fabrics, which would let me incorporate the green netting from the bodice into the skirt. 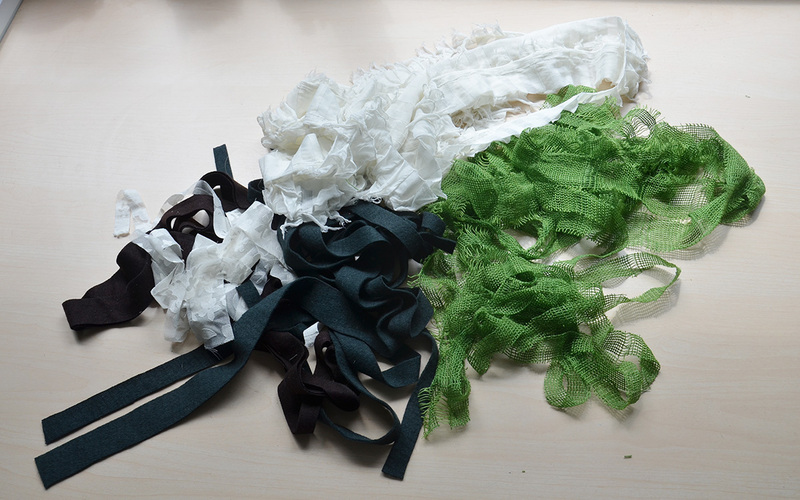 So I cut a whole bunch of strips of fabric. Before placing the strips I had to cut out my skirt. I originally cut a half circle skirt from white peachskin, then dipped it in tea for thirty seconds to darken it slightly. That failed, it turned a dirty orange color which wasn’t what I wanted. So I cut the skirt from the same material used on the bodice, a lightweight ivory woven fabric. Then I started pinning the strips on. I didn’t have enough of the fabrics to densely pack them, and even if I did I probably wouldn’t have done that since it would have made the skirt very heavy. Instead I placed them several inches apart. Then sewed them all on with contrasting embroidery floss. 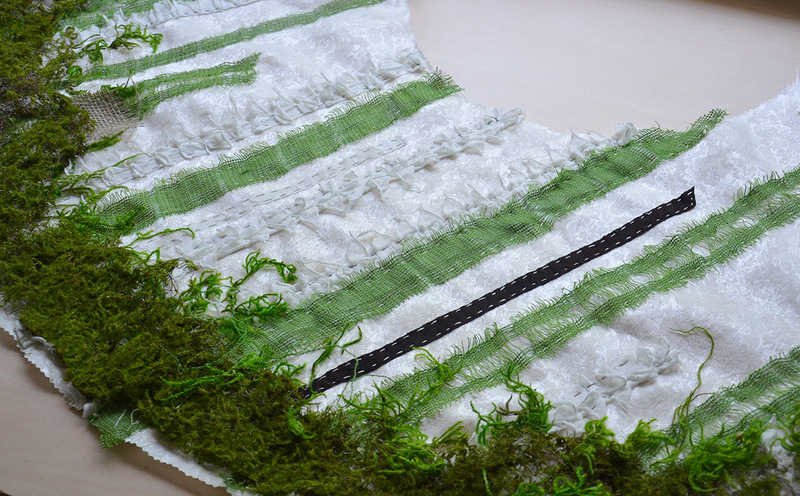 All the sewing was done by hand with large running stitches to give the skirt a similar texture to the bodice. 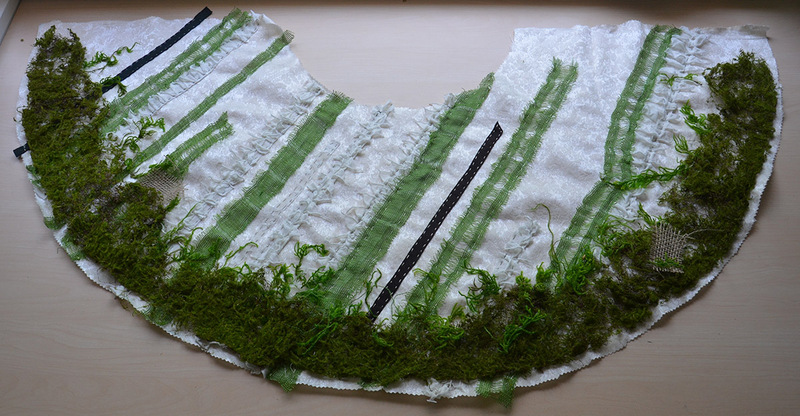 I used the moss trim across the hem, then glued pieces of the real moss overtop to create a more staggered line. 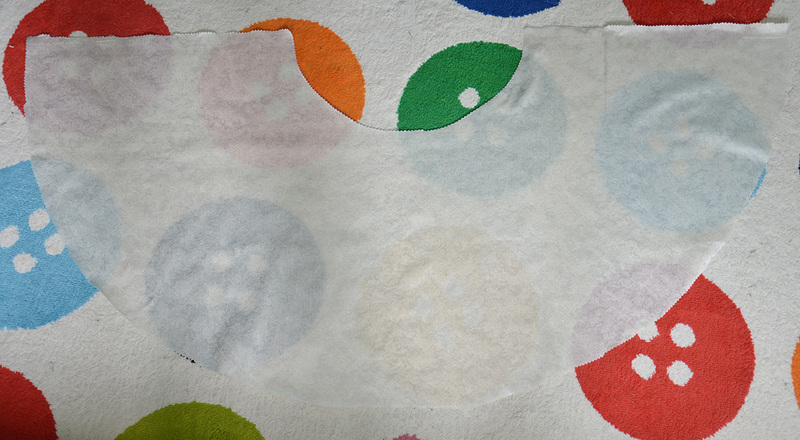 I also added little patches of burlap, which I did to the bodice too. This moss sheds like crazy – I would shake it and hundreds of those plastic itchy spines would fall out. When this happens to costumes with glitter on them i’m 100% okay with it because glitter is like magic fairy dust. 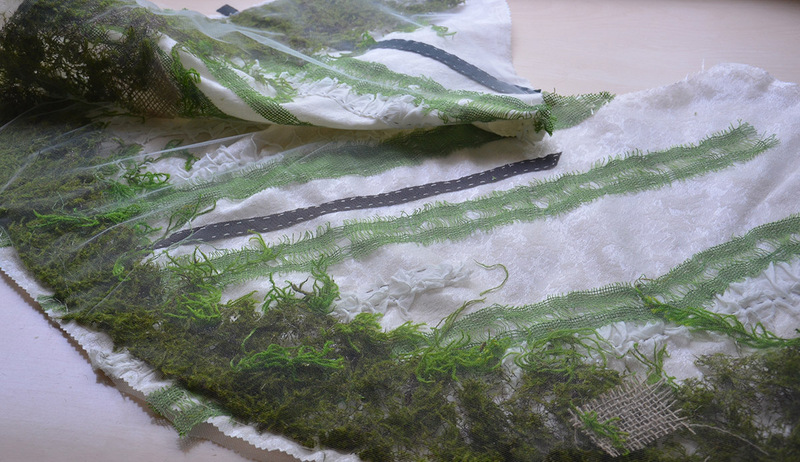 Itchy moss pieces? Not so much. 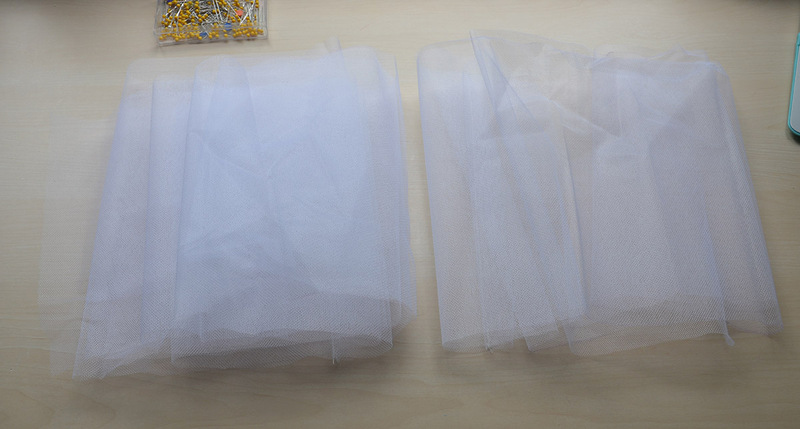 To fix it I lint rolled the whole thing, then sewed a layer of tulle overtop. For this project I bought a six inch wide spool of burlap. 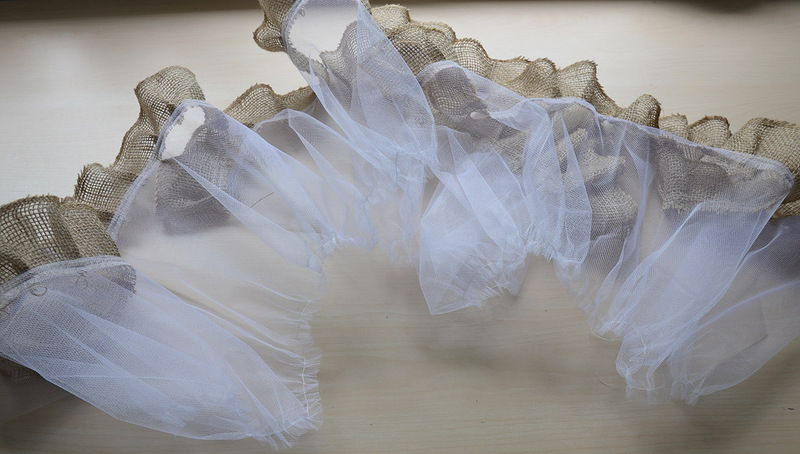 I cut it into two evenly sized strips, then slightly pleated the tops so I had ruffles. 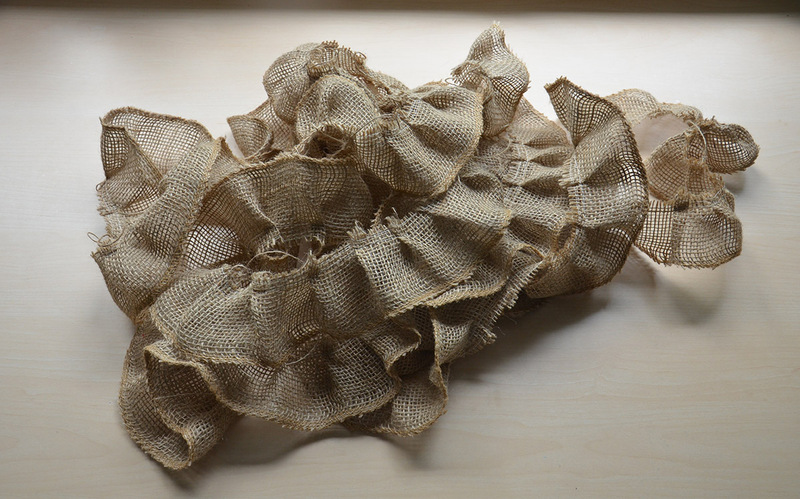 I sewed ruffled jersey onto the hem of the burlap, and another layer onto the top. So I had two pretty tiers of ruffles mounted on burlap! 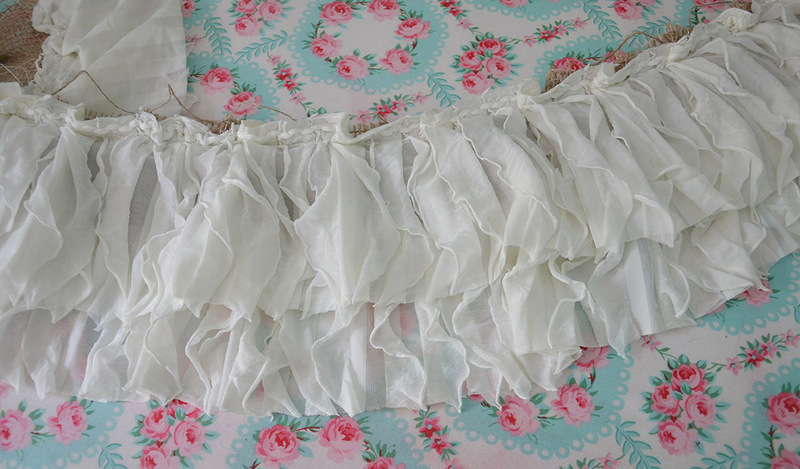 I sewed that ruffle onto the hem of the skirt. 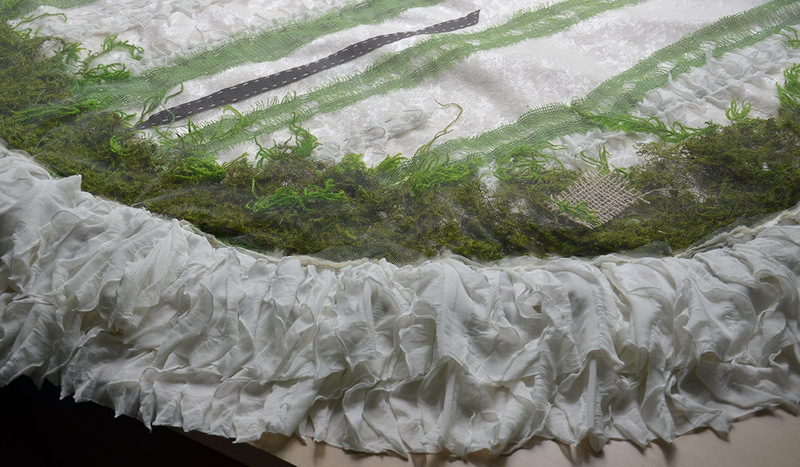 Then I covered the join point between the ruffle and skirt with strips of tulle that I braided. To add even more texture I snipped the tips off the strange fake flowers I bought and glued those underneath the braided tulle trim. To give the skirt a bit of volume I made an underskirt and trimmed it with burlap ruffles. This was a bad idea. 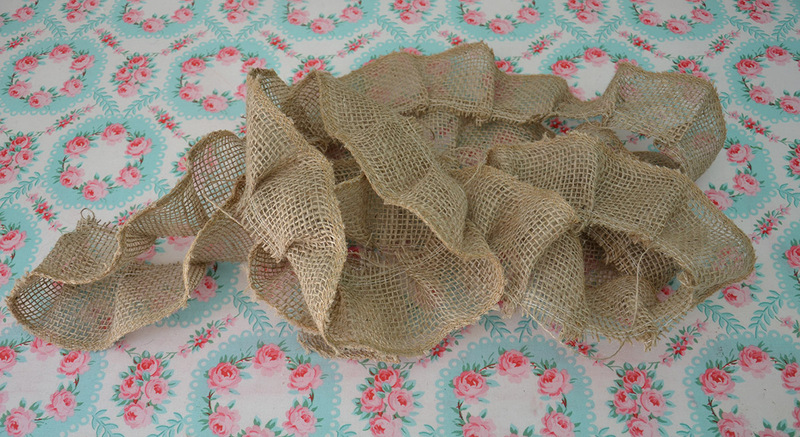 If you think petticoat net is itchy, it trimmed with burlap is about eight times worse. 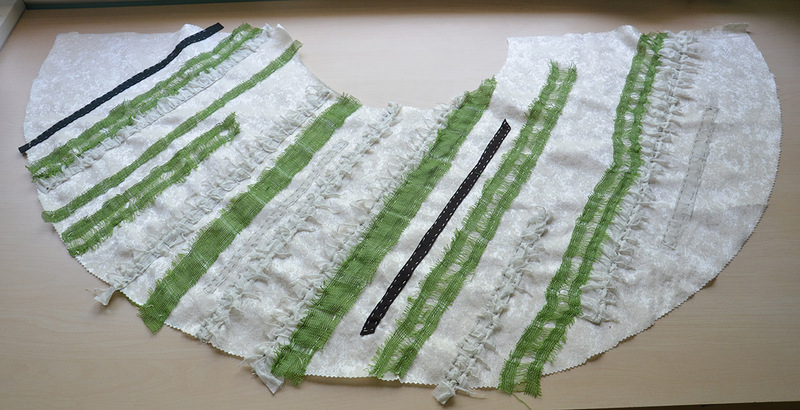 Here are the strips of petticoat net. 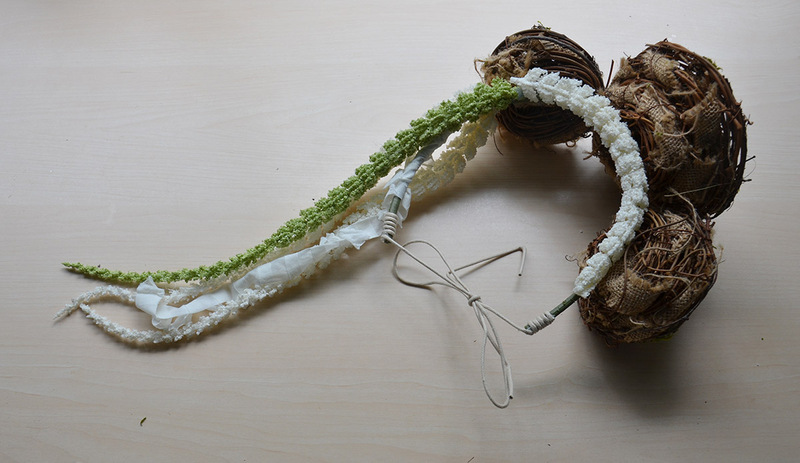 And here they are sewn together! I sewed that to the waistline of the skirt and sewed it up the back. Now it looked like a skirt! I sewed the bodice onto the skirt and finished the waist seam with bias tape. Then I sewed eyelets into the back of the bodice and a zipper into the skirt portion. Doing eyelets was a bad idea. I didn’t plan on putting them in this bodice, so they weren’t placed between bones or into heavily interfaced fabric. Which means they aren’t very strong and the bodice bunches in an ugly way at the back. But you can’t exactly remove eyelets from a dress. And I was kind of over this project at this point, so I declared the dress complete. 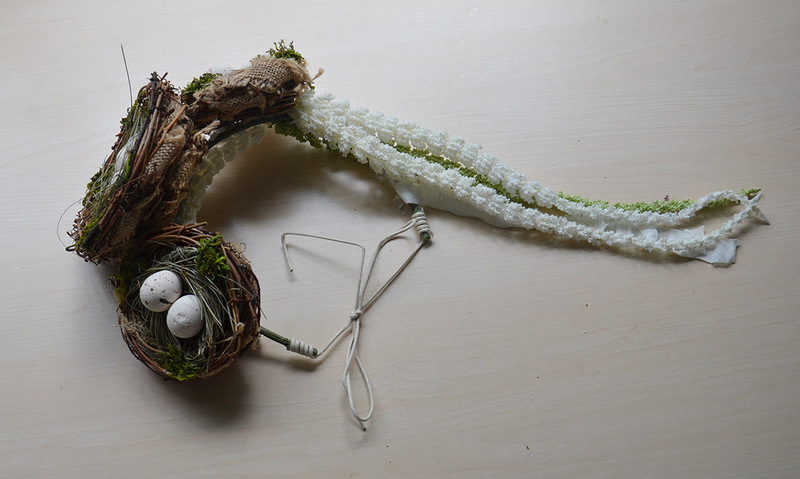 To make the headpiece I bent the stem of a fake flower into a headband shape. 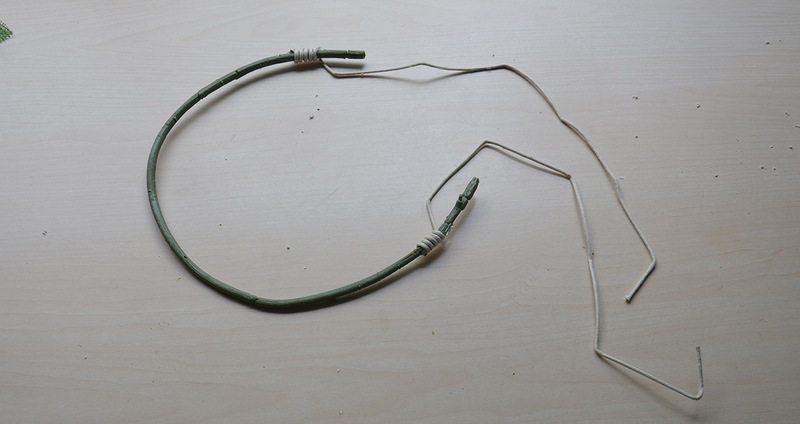 Then I wrapped cord around each end so I could tie it in place. 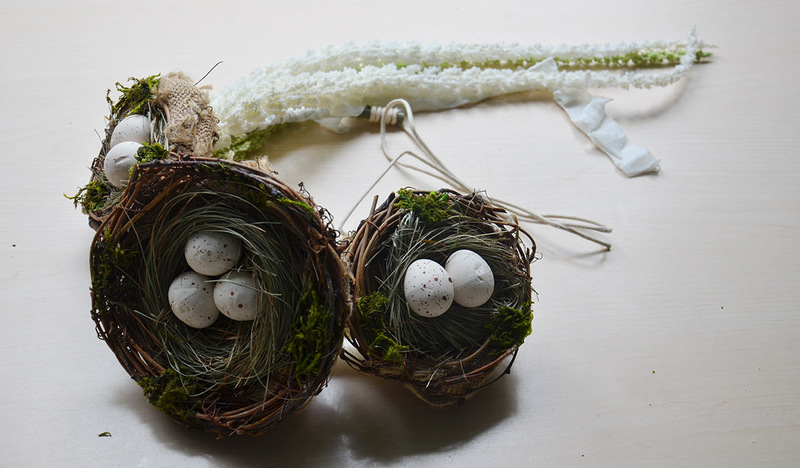 I glued on the birdnests and some fake flowers and that was it! took a whole five minutes. I have mixed feelings about this. I really like the textures and how it looks in the photos above, but it didn’t translate well from a distance and the pictures of it worn are disappointing. 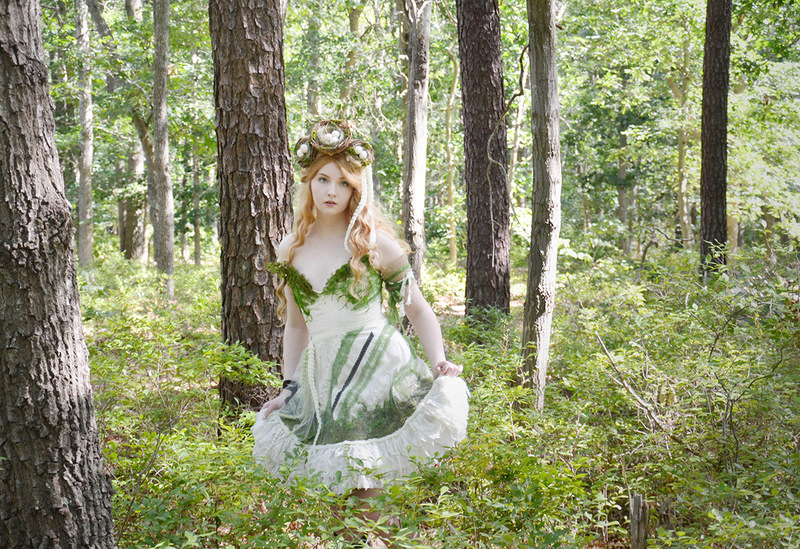 I HAVE taken and edited photos of how this costume looks in a forest environment but i’m not happy with them. The lighting and location weren’t what I had wanted and I think the bodice needs some slight changes to improve its appearance from a distance. The idea of walking around barefoot with the bugs in the woods again isn’t super appealing but I worked hard on this costume and I want to have something to show for it. Hopefully I can retake the photos soon, but in the mean time here is the one picture from the shoot that I really liked! That’s it for today – and for this costume. Thank you for reading! It is so pretty!! It is too bad that all that beautiful texture is lost in the outdoor photos. It’s so beautiful, great work! Out of curiosity, what do you do with dresses and costumes that don’t turn out/you’re unlikely to wear again? So much time and effort and materials go into your works. I’ve seen you reuse bits of one project in another. 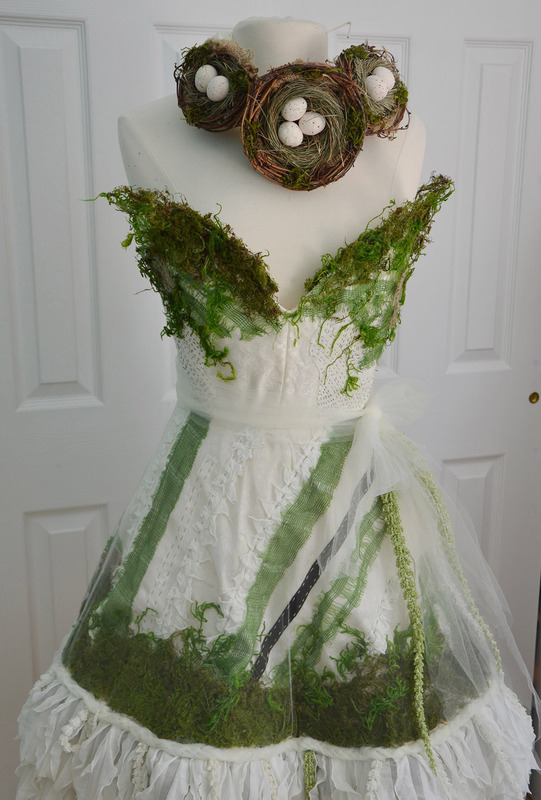 What lies ahead for the forest sprite dress? So creative! My 9 year old twins love your blog, and this is the favorite yet!